The ZX-Dev conversion competition is nearly over and throughout the competition we've had some fantastic games that are all aiming for many of the prizes on offer such as my ZX Spectrum tape 'Thrust'. 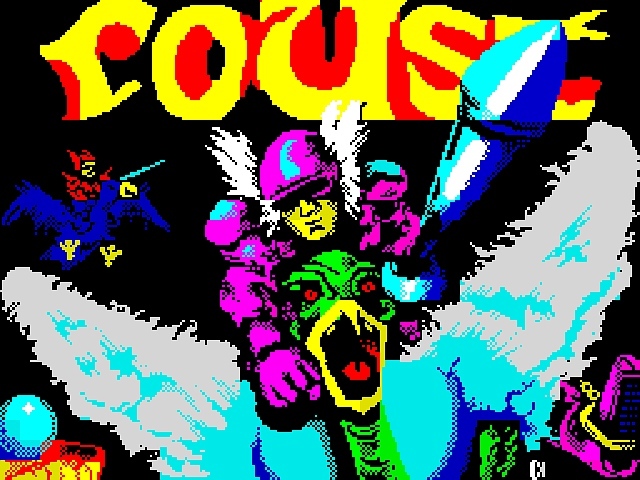 Well if you've been following the news you would've been aware that Allan Turvey had released a demo of his ZX Spectrum conversion of Joust which is called 'Roust'. That same has again appeared in our news feeds but this time not only is it FINISHED but we have the full version in our hands. Published by Highrise Electronics Inc with music by David Saphier and load screen by Craig Howard. This game was developed using Arcade Game Designer as a conversion of the Arcade game Joust, which was released way back in 1982, developed originally by William Electronics. 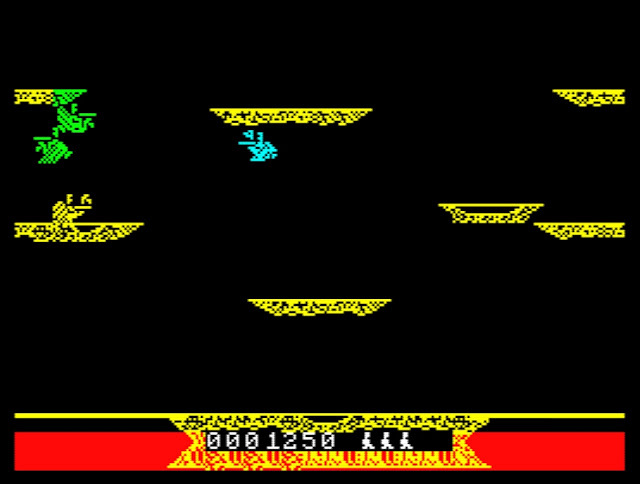 The idea behind the game is also full of entertainment, as playing as a knight riding his very own flying blue ostrich, you have to defeat other flying enemies while also trying not to be grabbed by the ever present hand from below, which does appear when the lava burns away the bottom platform!